4 Easy Steps – Pole now… pay later!! 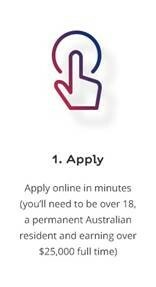 Step 1 apply online & in just minutes receive your approval via email. Step 2 If approved, you just need to accept the offer email sent from Once Credit. Step 3 All set! Shop for your X-Pole, Lyra, Stage or A-Frame & at the checkout simply select 6 months interest free as your Payment method. Step 4 The next business day, someone from our office will contact you to finalise your order & arrange delivery.